There’s something about Chiang Mai‘s easygoing appeal that gets travellers to this town passionately hooked. Away from the chaotic craziness of Bangkok and sophisticated styling of Koh Samui, it provides a calming respite surrounded by forests and mountains paired with a thriving arts and culture scene. As Thailand’s second largest city, it’s never lacking in super cool things to do. Cheapflights.com.au can get you there, and once you’re on the ground, here are 44 things you shouldn’t miss. 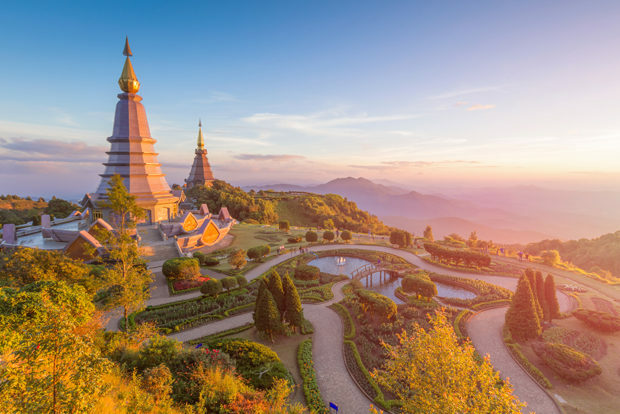 Soak in the views of the city from a viewpoint in Doi Suthep–Pui National Park. It’s very accessible to tourists and can be reached by a motorbike, car, or the town’s local public transportation. En route to Doi Suthep–Pui, don’t miss catching one or more of three waterfalls on the way: Huey Kaew, Mon Tha Than and Dtaat Mook. Also overlooking the city of Chiang Mai is one of its most beautiful temples, Wat Phra That Doi Suthep. Built in 1383, the Buddhist Monastery features pagodas, shrines, museums and beautiful views. Take an open-air tram around the nocturnal zoo and catch a glimpse of the animals up close. Documentary Arts Asia hosts film screenings every Thursday for a small donation. Get cultured and have a beer – sounds good to us. There are a number of places to catch a match, including Thapae Stadium, Kalare Boxing Stadium and more. Situated a few kilometres from Chiang Dao, this beautiful cave features interesting formations that will leave any spectator in awe. Thai cuisine is famous throughout the world, and when in Chiang Mai, one shouldn’t miss the opportunity to sample authentic northern Thai dishes. The speciality, of course, is the rice noodle soup called Khao Soi. 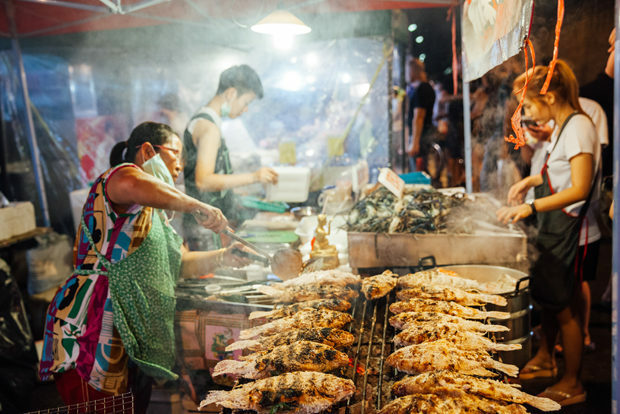 While in Chiang Mai, take the opportunity to learn how to cook some of their most famous dishes, so you’ll be able to whip one up at home when the craving strikes. Also known as “Thousand-Year-Old Egg,” the century egg is either a chicken, duck or quail egg preserved for several weeks or months using a blend of clay, ash, salt, quicklime and rice hulls. You can find it in most markets, and it is something one should try while in town. Called the songthaew, it’s Thailand’s version of the Philippines’ jeepney or, closer, the FX. In Chiang Mai, you can take it pretty much anywhere and a ride costs around 20 baht per person. The Chiang Mai Cabaret Show at Anusan Night Market offers two shows each night. It’s smart to buy your tickets in advance given the popularity of the show, especially during peak season. Pamper yourself and splurge on an authentic Thai massage in any one of Chiang Mai’s notable spa and wellness centres such as Makkha Health & Spa or Fah Lanna Spa. If you’re looking to bring home some Thai pottery, silverware, stoneware, wood handicrafts or silk products, a walk along San Kamphaeng Road is definitely a must. Another market you need to check out in Chiang Mai is the Warorot Market. It’s the perfect place to purchase souvenirs as it has everything from fruits and vegetables to household appliances –and at good prices. 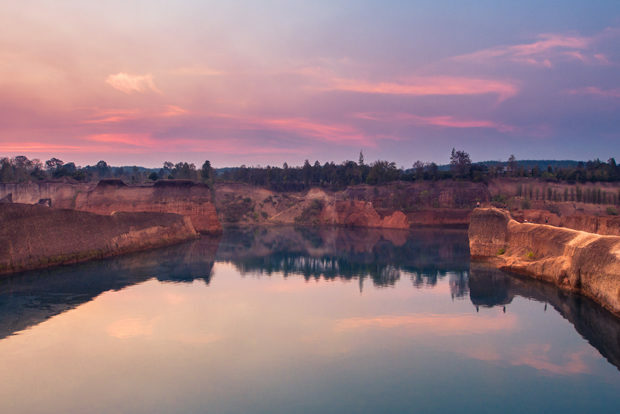 See the Hang Dong quarry, also known as the “Grand Canyon of Chiang Mai,” and be amazed by the beautiful scenery. Chiang Mai is all about slow travel and what a better way to experience the city’s calmness than by admiring the beautiful orchids and butterflies at Bai Orchid and Butterfly Farm. 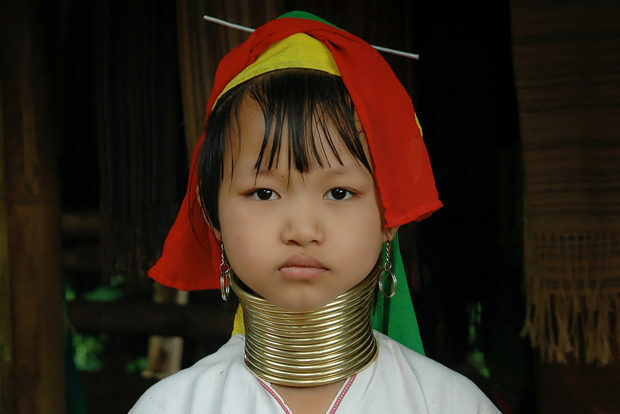 Take an afternoon trip to Mae Rim, 45 minutes from Chiang Mai, where you can visit a craft village inhabited by the Karen Long Neck Tribe (Burmese ethnic minority known for wearing neck brass coils). To enter the village, you have to pay 500 baht. Don’t miss the chance to see inspiring exhibits of contemporary artists at the MAIIAM Contemporary Art Museum. Admission costs 150 baht. Be introduced to the northern Thai Lanna culture by visiting the Old Chiang Mai Cultural Center, where Hill Tribe shows, exhibitions and Khantoke performances are regular offerings. This quirky and interesting museum is a great place to visit for a respite from the heat. Aside from being the gate to the old city, Tha Pae is also a place to catch interesting events or the place to grab drinks during the weekend. 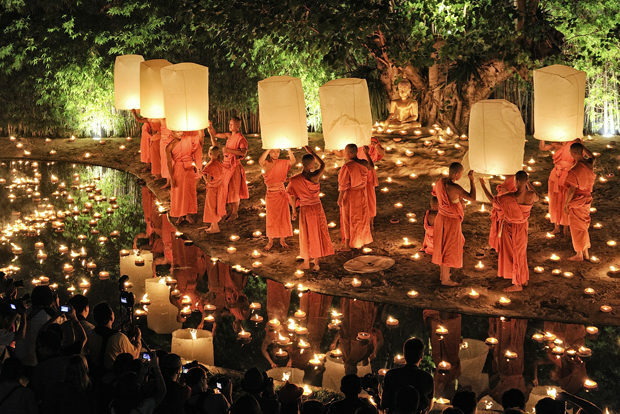 Chiang Mai is one of the best places to celebrate the nationwide festival, Loi Krathong, which takes place in the twelfth month of the Thai lunar calendar (typically in or around November). Celebrating the Goddess of Water, boat races on the Mae Ping River, the Yipeng lantern procession and Krathong parades are just some of the exciting happenings you can expect. Aside from massages, there are also a lot of amazing spas in Chiang Mai for that much-needed pampering session. Pun Pun Restaurant is the best place to try out some Thai vegetarian fare. Aside from fresh ingredients sourced from local farms, the dishes are also reasonably priced. If you’re in Chiang Mai between February and April, bird watchers can catch the migration to Thailand, which happens around this period and offers a unique and exciting opportunity. Open from 4 p.m. until midnight, the Sunday night market is a kilometer-long bazaar on Ratchadamnoen Road, which offers street food, clothes, souvenirs and even massages. Rent a motorcycle or car and drive up to San Kamphaeng to experience some of its hot springs. Get a different perspective of Chiang Mai by seeing the city via microlight or hot air balloon at Chiang Mai Sky Adventure. Cat lovers will be happy to know that Chiang Mai is also home to a cat cafe aptly named Catmosphere. Curious how Chiang Mai’s traditional umbrellas are made? Tour the Bo Sang umbrella factory or, if you happen to visit during the third week in January, attend the Bo Sang Umbrella Festival. Enjoy taking pictures right next to the 3D art displayed at the Art in Paradise museum, which is among the biggest interactive museums in the world. Feeling adventurous? 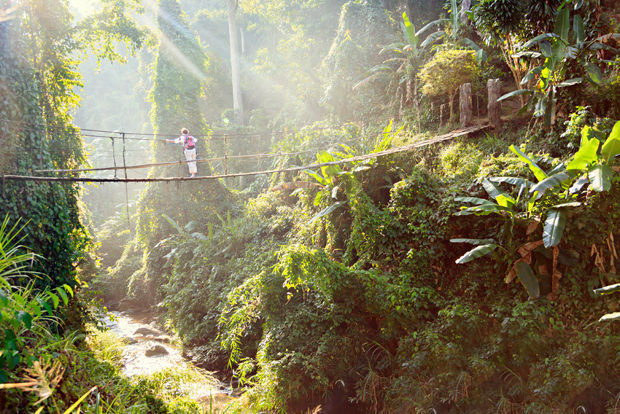 There are many notable companies offering zip lining amidst the beautiful forests of Chiang Mai such as Dragon Flight Zipline and Flying Squirrels. 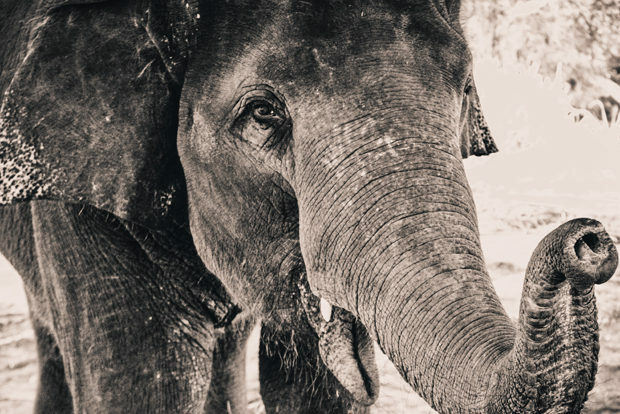 The Elephant Nature Park is an elephant rescue and rehabilitation centre where you can volunteer and learn about the animals. The city is overflowing with cool cafes where you can enjoy afternoon drinks. Among our favourites are Bird’s Nest, Good Morning Chiang Mai and Librarista. 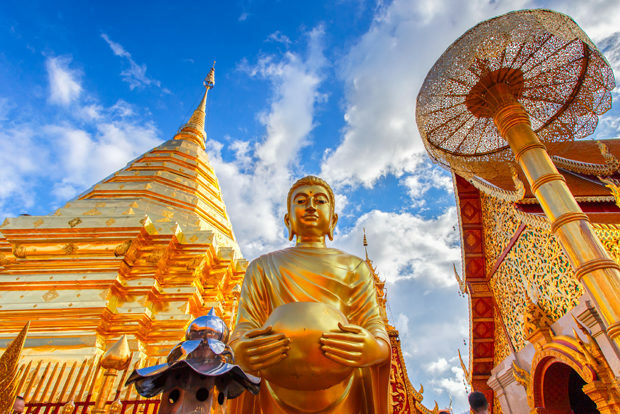 The city is one of the best places to take part in a yoga and meditation retreat because, not only are there a lot of options, but many of the world’s best yoga instructors have made Chiang Mai their home. 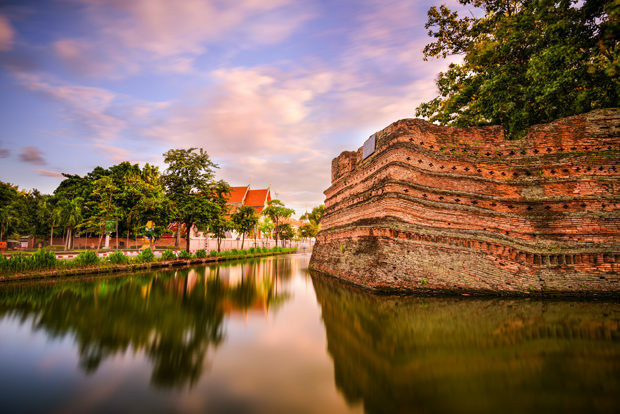 Rent a bike and cycle around the moat that circles Chiang Mai’s old city for a charming and relaxing afternoon. Head over to Nimmanhaemin Road, which is lined with the trendiest cafes and shops. One of the best ways to see and get to know Chiang Mai is by taking a two-hour cruise of the Mae Ping River. If you’re looking to slow down, Chiang Mai’s Buak Hard Public Park is a good place to hang out, especially if you are travelling with children. 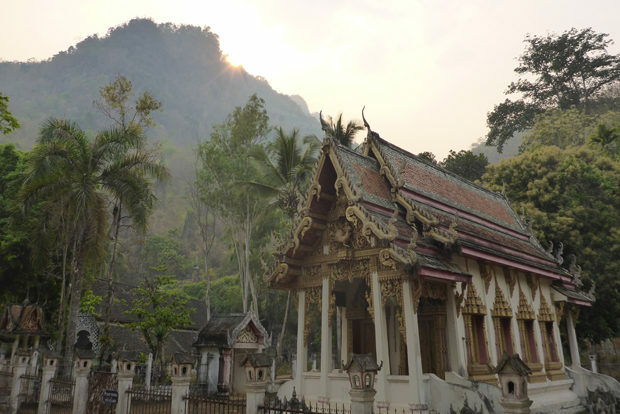 Learn more about the history and lives of northern Thailand’s minority hill tribe by visiting this museum in the Mueang Chiang Mai District. Do note, it’s only open on weekdays. 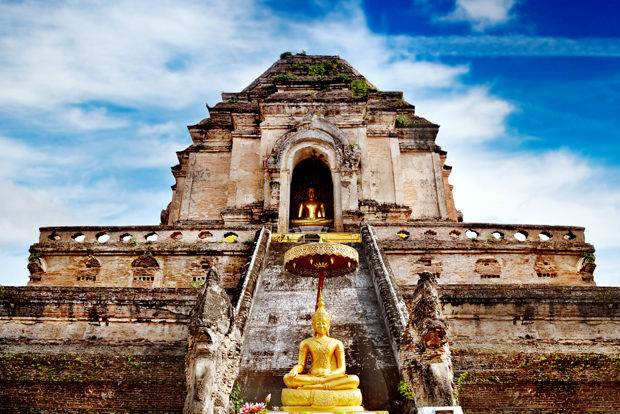 The Wat Chedi Luang is a 15th-century temple. Legend has it that it’s the city’s protector. Put your selfie skills to the test with a photo op at the Three Kings Monument, which features Kings Mengrai, Ramkamhaeng and Ngam Muang. Have more time? Consider adding a second destination to your trip — neighbouring Myanmar. Here are 48 things to do while you’re there. 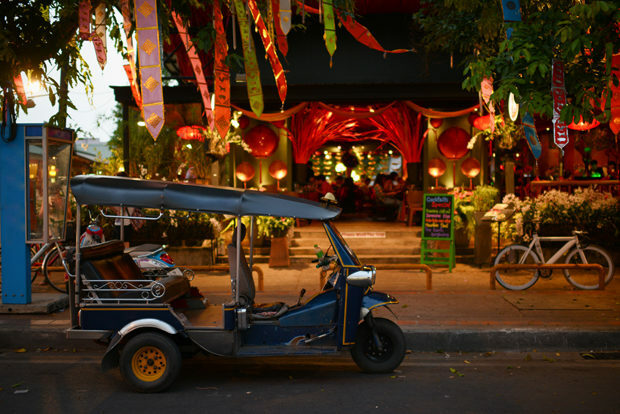 What would you do first in Chiang Mai? Share with us in the comments and start searching for flights on Cheapflights.com.au. Next Article Can you get through this post without booking a holiday?